Why did I read this book: I loved the first book in this series, The Enemy, and was thrilled to discover that more books were coming. As soon as I saw The Dead, I nabbed it up. It started with a YouTube video. “Scared Kid,” featuring a terrified, nearly incoherent child talking about “mothers” and “fathers” on a murderous rampage. Hilarious if a bit unsettling, “Scared Kid” rapidly became the most watched video on the internet, thanks to its sort of Blair Witch-esque intrigue. Were those actors in an elaborate viral internet prank? The ambiguity captivated the global audience. That is, it did until it becomes abundantly clear that “Scared Kid” is no actor. The outbreak strikes without warning or precedent. In a matter of days, the mysterious virus sweeps through Britain, Europe, and the rest of the world. Anyone sixteen or older falls victim to the illness, and in flurry of pus, fever, and madness, the infected become “sickos,” incapable of rational thought and hungering after children’s flesh. The Dead follows a group of children and teen boys from an English private school as they band together, making their way to the countryside to start a new life. With a hoard of sickos between them and salvation, however, best friends Ed and Jack must fight to survive – even if it means facing their fears, becoming merciless, and losing what little humanity and innocence they have left. 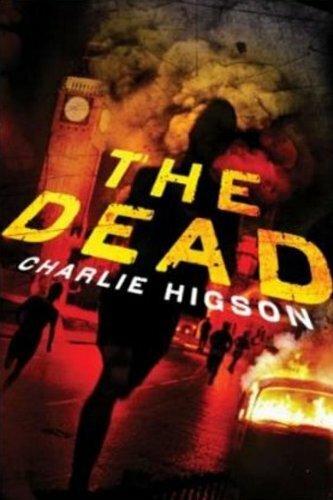 Taking place in the weeks and months before the start of The Enemy, The Dead is the story of the (pseudo)zombie apocalypse that rocks Britain and brings the world to its knees. As such, it’s a much more action-and-violence centric novel, offering little in the way of explanations of the virus (beyond a few conversations with some extremely bright characters, that is). The prequel also focuses on a cast of characters unrelated to those survivors in The Enemy, and can be read as a stand alone novel. One of the cool things about a prequel like this is the sense of utter uncertainty surrounding its characters – Charlie Higson has a brutal streak and no one, not even protagonists Jack and Ed, is safe. The gore and action dial is understandably turned up in this novel, and we also get an intriguing glimpse at infected “sickos” themselves; what they are thinking, how the disease feels, and there are a number of clues and foreshadowing hints dropped as to what makes certain adults stay sane longer than others (as also seen in The Enemy). While the action and body count increases many-fold over its predecessor, however, The Dead never matches the emotional depth or character strength of the first book. That said, there is one relationship at the heart of this book that defines the emotional breadth of the novel: the friendship between Ed and Jack. Jack (my personal favorite of the bunch) is a smart, athletic boy, but lacks the charm and good looks of his best friend Ed – having been born with a port-wine stain birthmark on his face, Jack’s always been timid because of his looks. When the outbreak strikes, however, it is Jack and not Ed that is able to make the tough decisions and leap to action. At the same time, Jack’s ability to act quickly without thinking things through is a weakness that Ed counterbalances with a desire to stay as safe and conservative as possible in the apocalyptic landscape. The relationship between these two characters as their roles are reversed in a time of impossible danger is fraught with tension, leading to moments of tenderness and inevitable tragedy. As far as the rest of the cast is concerned, The Dead is much more male-populated than The Enemy, and strays a little too close to caricature. There’s the religious zealot, Matt, peddling his new gospel in which the Lamb will save him and his acolytes (why is there always a religious nut in these books? I suppose in the throes of the apocalypse this is to be somewhat expected, but it seems like such an easy trope to play out. I digress.). There’s the pretty, queen bee girl that uses bitchiness as a shield for emotion. There’s the wiz kid, the nerd, the jock, the ruthless leader type, and so on and so forth. These aren’t bad tropes, but as these characters are never really explored in depth, they remain caricatures as opposed to genuine flesh-and-blood people. While character or thematic depth isn’t really touched in The Dead, what the novel does have is action and gore in spades. There are lengthy scenes depicting epic battles, with katanas brandished and pistols blazing; there are descriptions of the putrid odor and bloat of the long-dead, and the erupting pustules of the infected. And let’s be honest – if you’re into zombie apocalypse fiction, this is all a part of the subgenre’s appeal. Although there isn’t anything approaching the horrors of the London Underground as described in the first book, there is a stadium full of atrocities – literally. If it’s good old fashioned decapitation, flesh-eating, and blood spattering you’re looking for, The Dead totally fits the bill. 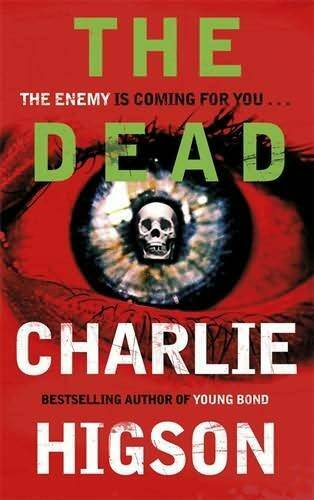 Although I did enjoy the first book much more, there’s plenty to like in The Dead – and I’m thrilled to hear there’s another book on the horizon. I’ll definitely be back for deliciously depraved thirds. When the video is posted on YouTube it’s an instant hit. Within days everyone is talking about it. Maybe it’s a clever trailer for a new horror film. Maybe it’s a viral ad for something. A new car or a chocolate bar? Or, just maybe, it’s real . . . The thing is . . . There’s something about it. Something about the kid. No ten-year-old is that good an actor. And if someone’s playing a trick on him they are really sick and they’ve done way too good a job. Who would do that? Who would deliberately scare a young kid that much? And why has nobody come forward to explain it all? Even after everything that happens, when the whole world changes forever, when everyone knows that the video wasn’t a hoax but the start of something terrible, people remember the Scared Kid. His poor frightened little face. It’s like the last thing everyone saw before the lights went out. HE DOESN’T KNOW IT BUT DOG NUT IS ABOUT TO SET OFF A CHAIN OF EVENTS THAT WILL AFFECT EVERY KID IN THE CITY. Mothers and fathers, older brothers, sisters and best friends. No one escaped its touch. And now children across London are being hunted by ferocious grown-ups . . .
They’re hungry. They’re bloodthirsty. And they aren’t giving up. Dog Nut and the rest of his crew want to find their lost friends, and set off on a deadly mission from the Tower of London to Buckingham Palace and beyond, as the sickos lie in wait. But who are their friends and who is the enemy in this changed world? 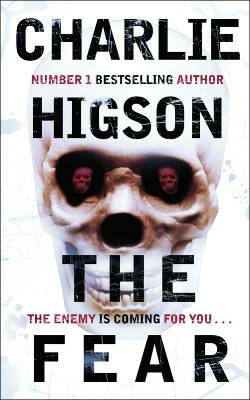 There’s more about the upcoming title on Charlie Higson’s website HERE. the secound book it the disease struck everyone over the age of sixteen so far so good but wait in the 3d book it say it struck everyone over the age of fourteen so which is it 16 and over or 14 and over? The reason for the age change I think is because of the locations it was published. Thought it was an interesting depiction of the zombie apocalypse trope with younger kids having to survive.